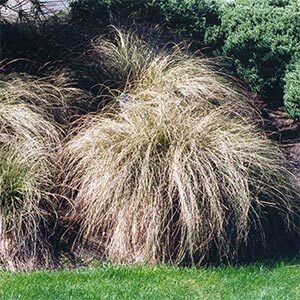 Native tussock- like perennial with bronze colouring. Suitable for group planting or use in rock and pebble gardens. Hardy to most soils & climatic conditions. Can be cut back hard to rejuvinate. Evergreen. 50cm x 50cm.